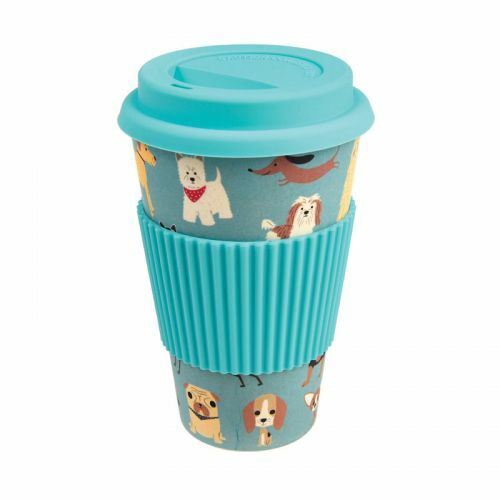 This is an eco-friendly travel mug, made of bio-degradable bamboo. 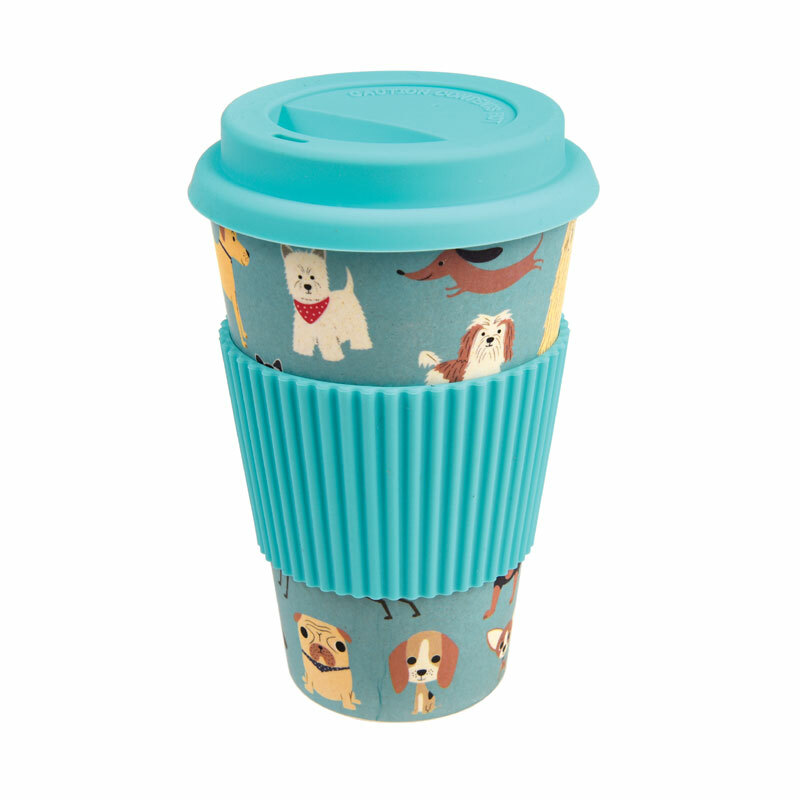 It features various dog breeds around the main body of the cup. 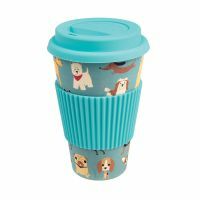 The lid and sleeve are coloured in muted turquoise and are made of silicone.The mug itself is dishwasher-safe but the lid and sleeve should be washed separately. 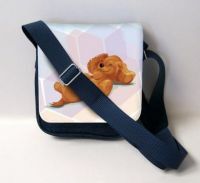 The capacity is 400ml and it measures 9cm across by 14.5cm high. The weight is 151g.